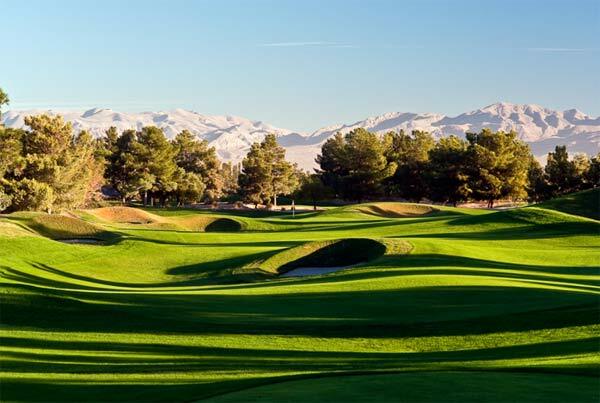 A Golf Digest Top 50 Resort Course, Desert Pines offers a taste of the Carolina Pines in the middle of the desert! 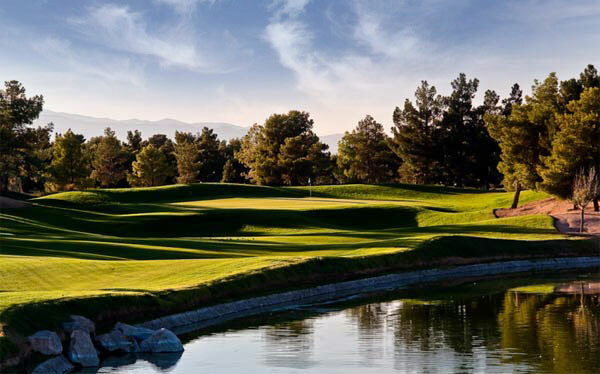 With numerous bunkers and water hazards Desert Pines rewards a player with good course management skills. 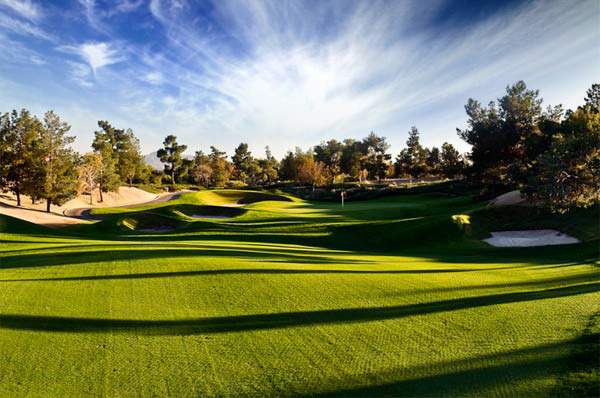 The Desert Pines Practice Center is a 20,000 foot state-of-the art driving range. This two-tiered, climate controlled facility includes target greens that are modeled after some famous par 3’s throughout the country. This lighted amenity is open in the evening for late night practice before your big round the next day. Lessons are also available. In the clubhouse features Duffers Restaurant which serves breakfast and lunch. On-course food and beverage service is also available. 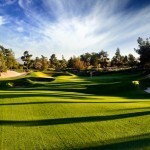 Desert Pines has the ability to hold your luncheon or after-golf banquet in their Champions Room with seating up to 175. 2019 Maintenance Schedule: Greens aeration on 4/16/19.